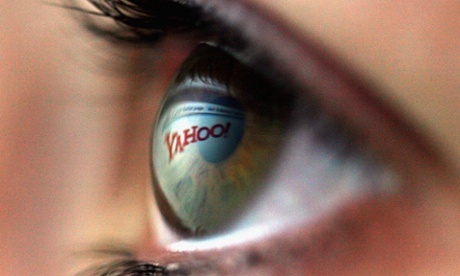 Yahoo reacted furiously to the webcam interception when approached by the Guardian. The company denied any prior knowledge of the program, accusing the agencies of “a whole new level of violation of our users’ privacy“. GCHQ does not have the technical means to make sure no images of UK or US citizens are collected and stored by the system, and there are no restrictions under UK law to prevent Americans’ images being accessed by British analysts without an individual warrant. The documents also chronicle GCHQ‘s sustained struggle to keep the large store of sexually explicit imagery collected by Optic Nerve away from the eyes of its staff, though there is little discussion about the privacy implications of storing this material in the first place. Optic Nerve, the documents provided by NSA whistleblower Edward Snowden show, began as a prototype in 2008 and was still active in 2012, according to an internal GCHQ wiki page accessed that year. The system, eerily reminiscent of the telescreens evoked in George Orwell’s 1984, was used for experiments in automated facial recognition, to monitor GCHQ‘s existing targets, and to discover new targets of interest. Such searches could be used to try to find terror suspects or criminals making use of multiple, anonymous user IDs. Rather than collecting webcam chats in their entirety, the program saved one image every five minutes from the users’ feeds, partly to comply with human rights legislation, and also to avoid overloading GCHQ‘s servers. The documents describe these users as “unselected” – intelligence agency parlance for bulk rather than targeted collection. The agency did make efforts to limit analysts’ ability to see webcam images, restricting bulk searches to metadata only. However, analysts were shown the faces of people with similar usernames to surveillance targets, potentially dragging in large numbers of innocent people. One document tells agency staff they were allowed to display “webcam images associated with similar Yahoo identifiers to your known target”. 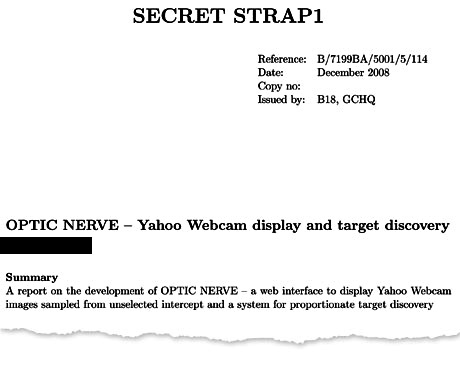 Optic Nerve was based on collecting information from GCHQ‘s huge network of internet cable taps, which was then processed and fed into systems provided by the NSA. Webcam information was fed into NSA’s XKeyscore search tool, and NSA research was used to build the tool which identified Yahoo’s webcam traffic. Bulk surveillance on Yahoo users was begun, the documents said, because “Yahoo webcam is known to be used by GCHQ targets”. Programs like Optic Nerve, which collect information in bulk from largely anonymous user IDs, are unable to filter out information from UK or US citizens. Unlike the NSA, GCHQ is not required by UK law to “minimize”, or remove, domestic citizens’ information from its databases. However, additional legal authorisations are required before analysts can search for the data of individuals likely to be in the British Isles at the time of the search.